Welcome to the BNC Westlake chapter! The chapter is composed of men and women from the Westlake, NJ area who share Brandeis values; a respect for academic excellence, a drive for lifelong learning, and need for social justice. Though some of our members are Brandeis alumni or related to alumni, many members do not have any affiliation with the university. 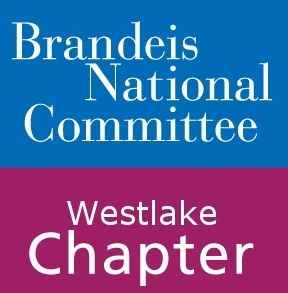 BNC Westlake proudly provides Brandeis University financial support for its libraries, student scholarships, and scientific research through fundraising events and study groups. We provide our members with social and educational opportunities throughout the year, including study groups. Our study groups and events are designed to entertain, educate and provoke discussion. In order to ensure there is something for everyone, topics range far and wide. In past years these have included writing, film, history, health and wellness, ethics, software and computer technology, and tours of locations of interest. We are always open to new ideas for topics to explore! For our new members BNC Westlake offers a “buddy system” by request for events. Pairing up new and established members gives new members an opportunity to easily meet the rest of the chapter and not get lost in the crowd. We look forward to another year of learning, fun, and supporting a laudable institution!